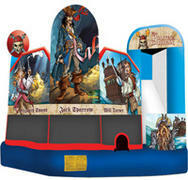 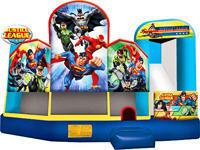 Combo Bouncers, Bouncer Combo's, Bouncer with Slides, these are all names for Bouncers with other activities. 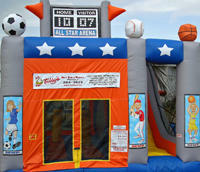 They get their name from being a "combination" of the kids favorite bouncer, and other exciting elements. 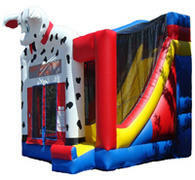 These range from climbing elements, obstacles, slides, basketball hoops and other challenge type elements. 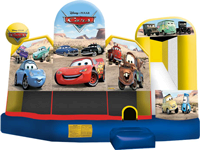 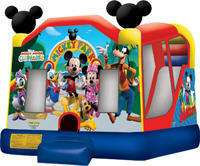 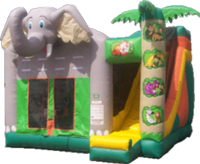 Tubby's Party Rentals has a broad range of Combo Bouncers, Bouncer Combo's available for rent in Calgary and surrounding communities.